Please come and help plan and prepare this year’s Dunbar Primary School Fair over coffee. Dog walkers – the parent council meeting on Mon April 1 will discuss a suggestion that a tethering zone is created at John Muir campus for parents walking dogs as well as children to school. A dog warden will be there to explain how this works and why it might be a good idea. Do come and share your thoughts. We meet in the John Muir campus library at 7pm. The school improvement plan and funding priorities will also be up for discussion that night. Remember to bring your cash/ cheque book to buy books at parents’ evenings this week. The book fair will be on in the school libraries between 4pm and 7pm. Free books for our pupils when you shop. The toy sale to raise funds for the nursery will take place on Friday 22 March (9-12.30). I’m still looking for volunteers to help on the day. If you could spare even half an hour of your time please let me know. Hope to see you there for coffee and cake too! 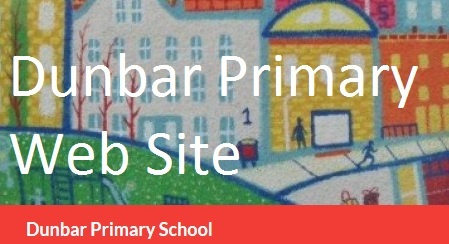 The parent council meets next Tuesday (Feb 26) at DUNBAR PRIMARY SCHOOL LIBRARY AS USUAL (not Bleachingfield as previously advertised – the safe routes to school event has been postponed). Highlights of the parent council meeting include the school improvement plan. 7pm start. Come if you can. East Lothian Council is keen for parents to share their views about parental engagement at the school. The link is below. Deadline is Friday February 22. Please take part and share the link. Thanks.